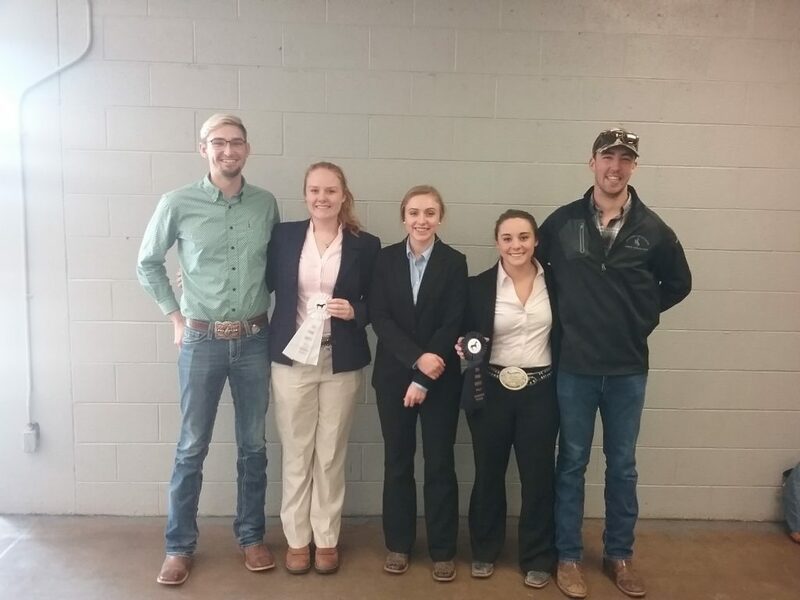 The UW Horse Judging Team participated in the National Horse Judging Team Coaches Association Spring Horse Judging Contest in Oklahoma City on April 10. Team members were Hannah Jankovsky of Cheyenne; Emma Viellieu of Chicago, Ill.; Mikaela Moore, Sheridan; and teaching assistant Tanner McClure. The team worked hard and represented UW well in the Limited division. Emma Viellieu was 4th overall individual, and Hannah Jankovsky was 8th overall individual. Our 2nd Annual UW Horse Judging Academy was a huge success! We had over 60 attendees, both youth and adults, on March 24 and 25. Many were return attendees from the previous year. 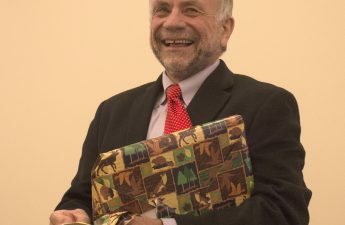 Guest judges Linda Hitt of Gamble Oaks Equestrian Center in Elizabeth, Colo., and Don Beard of Beard Paint Horses in Cheyenne were featured speakers and officiants. We are grateful for them sharing their time and knowledge to help educate and grow the UW horse judging program. Their expertise and support of the UW horse judging program are second to none! This year, we split the age groups, with UW Horse judging team alumni leading sessions for our youngest group — and earning great reviews from the beginners. 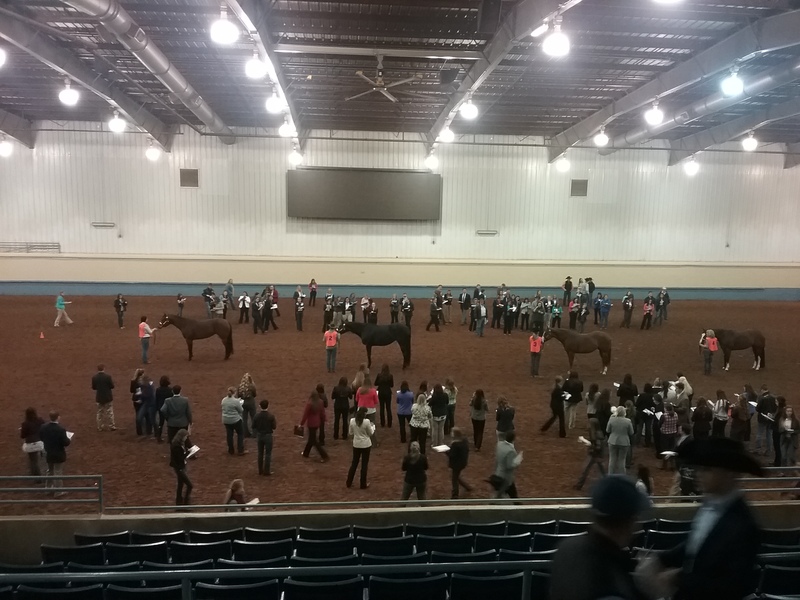 March 24 was spent in the Animal Science building learning how to evaluate several different horse show classes. 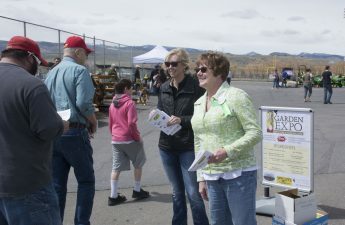 The group then went to the Martha Hansen Teaching Arena on March 25 to apply the information they learned in the classroom to judging live horses. Community members, UW equine students, and Justin Henderson of Henderson Performance horses in Cheyenne provided the horses to create the practice classes. We thank Johnathan Despain in the 4-H office; Mike Day, department head of Animal Science; the Laramie Research and Extension Center; community sponsors; riders who put on the classes for practice judging; and the students of the UW Horse Judging program for their continued support of this event. We look forward to hosting our 3rd Annual UW Horse Judging Academy in 2019. 2018 UW Horse Judging Team. From left to right: Jory Goetz, UW Horse Judging Team Alumni, Emma Viellieu, Mikaela Moore, Hannah Jankovsky, and Tanner McClure, teaching assistant.